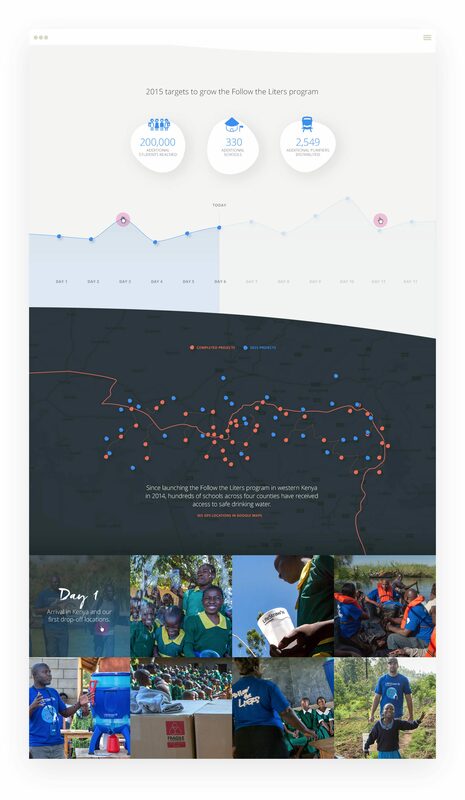 On a mission to filter contaminated water, the Lifestraw story is a wellspring of inspiration…they just needed to cohesively tell it. They came to us in search of a revitalized design, clear messaging, technology that featured real-time capabilities, and a smooth e-commerce experience. Challenge accepted. Our designers used water as their inspiration when they started brainstorming the direction of the new brand aesthetic. Hover features appear like water droplets, photo headers arc as if in a fluid motion, and shades of blue are found throughout the site. We also experimented with hand-drawn fonts to make it feel more down-to-earth. 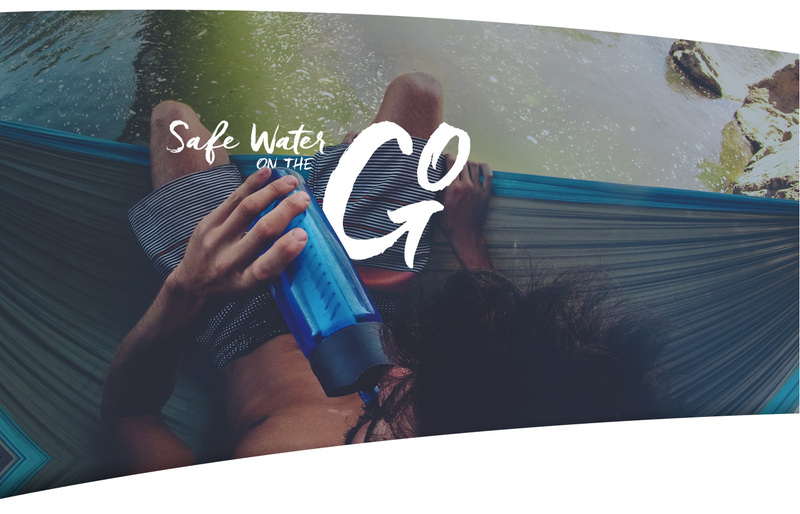 There’s nothing stock about Lifestraw, and we didn’t want their images to be either. Not only did we up the ante of the product shots with new photography, but we used actual footage from users’ social media to show that it’s used in real life by real people all around the world. 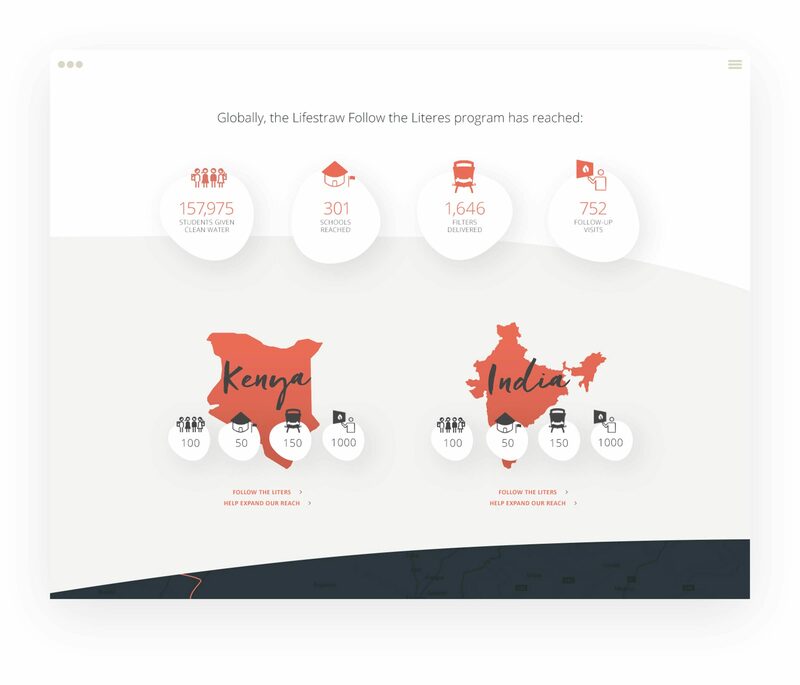 Their Follow The Liters program comes to life for two weeks every year when Lifestraw volunteers travel to western Kenya to distribute water purifiers to schools. Those volunteers track their travel in real time and post daily details of their journey. Since consumer purchases make this initiative possible, we designed the page so the viewer feels like they’re there. Because, in theory, they are. 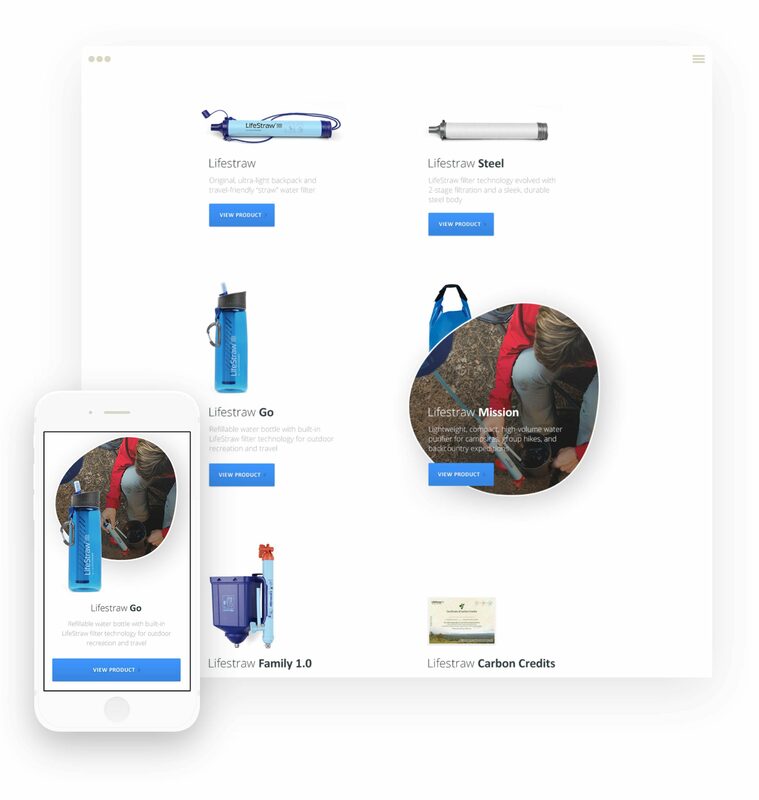 With a worldwide presence, Lifestraw product purchases are completed through off-site distributors, which means we didn’t have to integrate with shopify or implement shopping carts. To make the process seamless for the wide customer database, we geo-located international users to ping distributors’ availability and translation.